Ever wonder what a regular fast food burger would would look like if you ordered 16 extra patties and 16 extra cheeses??? 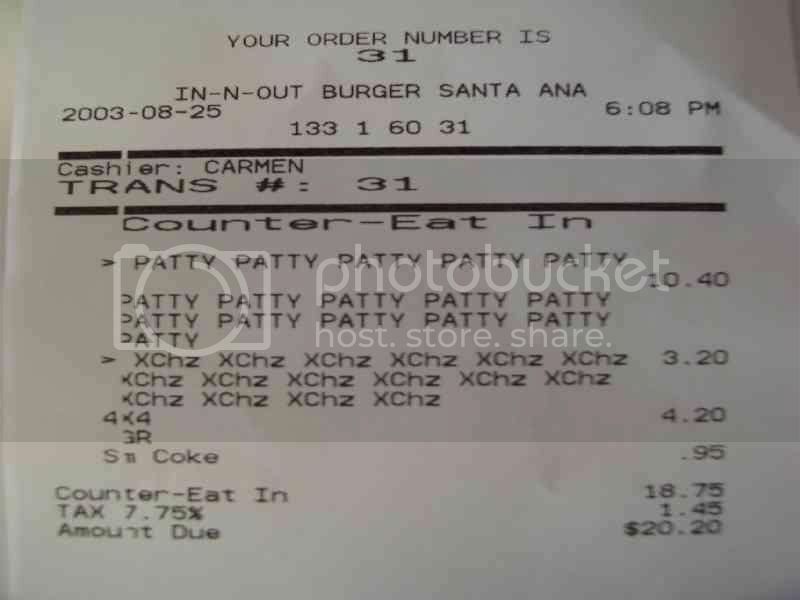 Well a dude in Santa Ana California went to his local In-N-Out burger and did just that. Now I know In-N-Out isn't a mom and pop - but these pictures were too good not to post on the site. Even microwaves couldn't make that burger fast!! You know I wondered how long it did take them to make this thing? And it had to be quite an event too when they called the guy to come and get his order. I saw the other pictures from this guy. In-N-Out gave him one of the hats their employees wear. Seems like a small price for I am sure was a long night of painful gastrointestinal activity. My favorite Burger place in Northern Calif. Never saw a burger quite like that though. Looks like something you eat with a fork and knife covered in ketchup. But, In N Out is still owned by the family that started it: The Snyders. I worked for In N Out in college when I went to UCSB. It's a fun place to work and the burgers are great. In INO language, that burger your friend ordered is called a 16x16 (16 by 16!). In -N- Out is the real deal! When I was stationed in CA there was one about 2K's from my house. I think I lived in that place for the whole time I was stationed there. Holy smokes that's a big burger! How would you even begin to eat that? Now I'm hungry. Great site, TBG! You're making me homesick! Is Hut's still open in Austin? Thanks Ray for your comment. To answer your question - yes - Hut's is still open. Here is a link: http://hutshamburgers.citysearch.com/?cslink= I gotta make it out there someday to try their burgers! oOoh... just looking at that makes my belly ache. I've fallen in love with your site. You can't go wrong with pictures of burgers, especially ones like THAT. 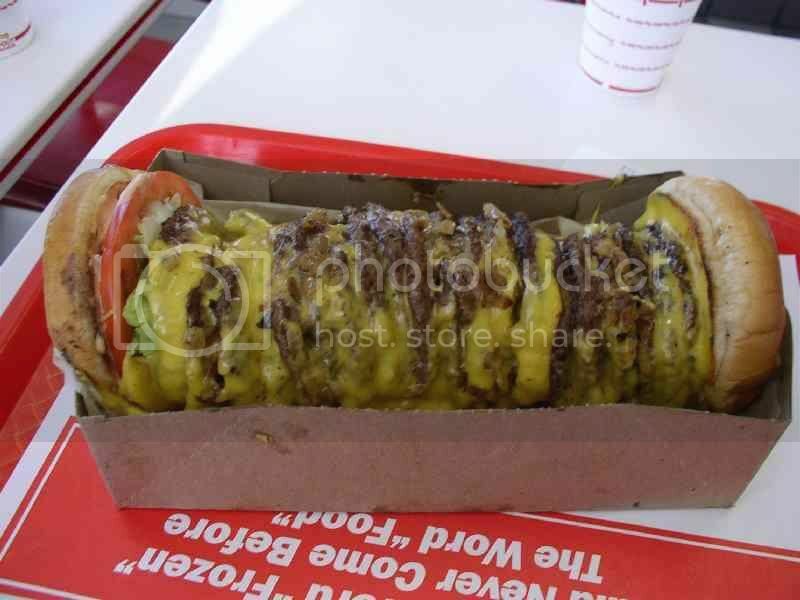 I've always wanted to order from the In N Out secret menu. One of these days I will. All that and then he orders a small coke. Ha ha ha. That is, without a doubt, the single most beautiful thing I have ever seen. Ever. Why cant they make burgers like that in england,it looks like i'll have to visit the good old usa to try out these diners. 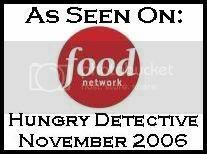 Is all diners similar to this one??? thats a 20x20 not a 16x16. 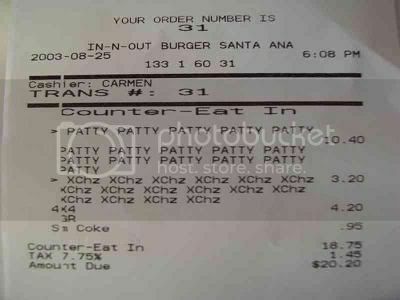 and the person who worked at in-n-out I would have thought they would have noticed that.